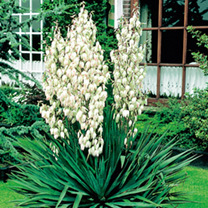 A fairly common yucca, especially in older neighbourhoods of Portland. 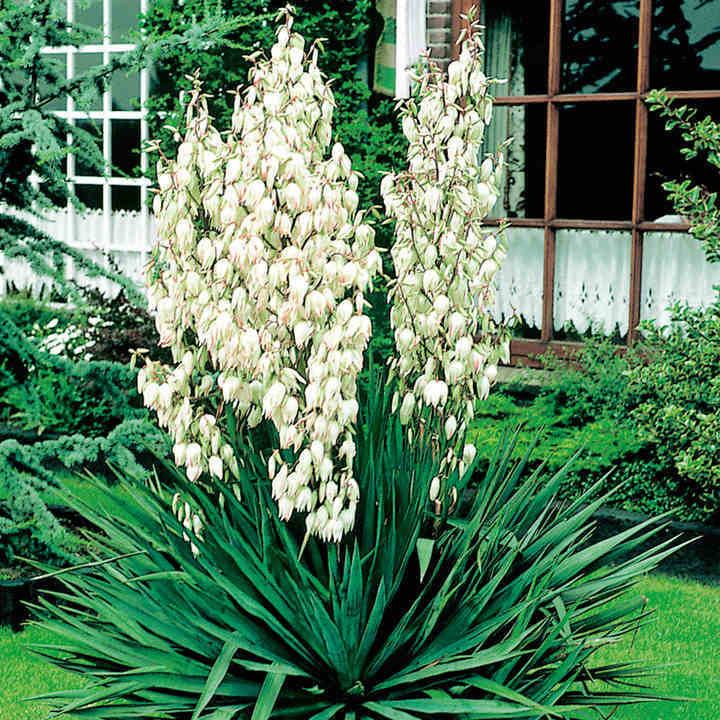 The yucca has stiff, evergreen leaves, to 70 cm with thin filaments that shred from the leaf margins providing interest and texture. White flowers appear in summer on 90 - 180 cm woody stalks. Sun with some summer water for best appearance.